Clavicus Vile is the daedric prince of granting wishes through rituals and pacts. He appears as a horned demon child who is often found with his shape shifting daedra dog, Barbas. Wood Elves make the perfect Clavicus Vile, I made him as short as possible and added the Delicate Daedra Horns. Though he’s often pictured in a shirtless vest in either green, blue or brown, I’ve clothed him in the Pirate Sash & Bandolier outfit, as the other vested clothing just didn’t seem to fit him right. I love the Windhelm Wolfhound as Barbas! 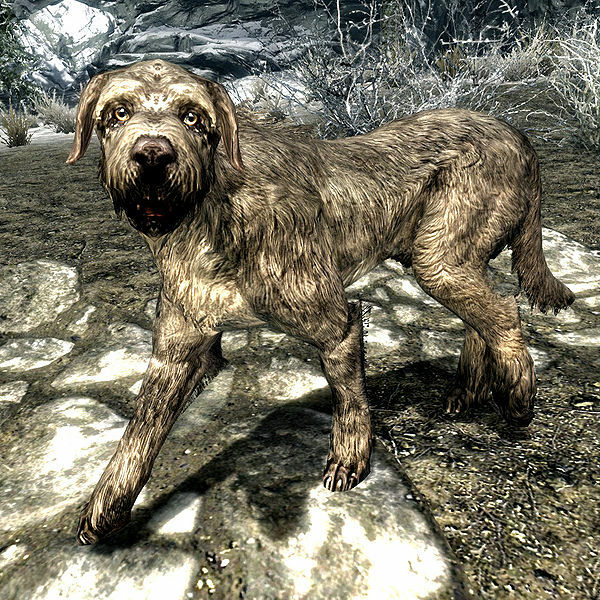 Newer Elder Scrolls fans might have remembered him from Skyrim as that happy, loud dog that follows you around. I got him from one of the starter packs. 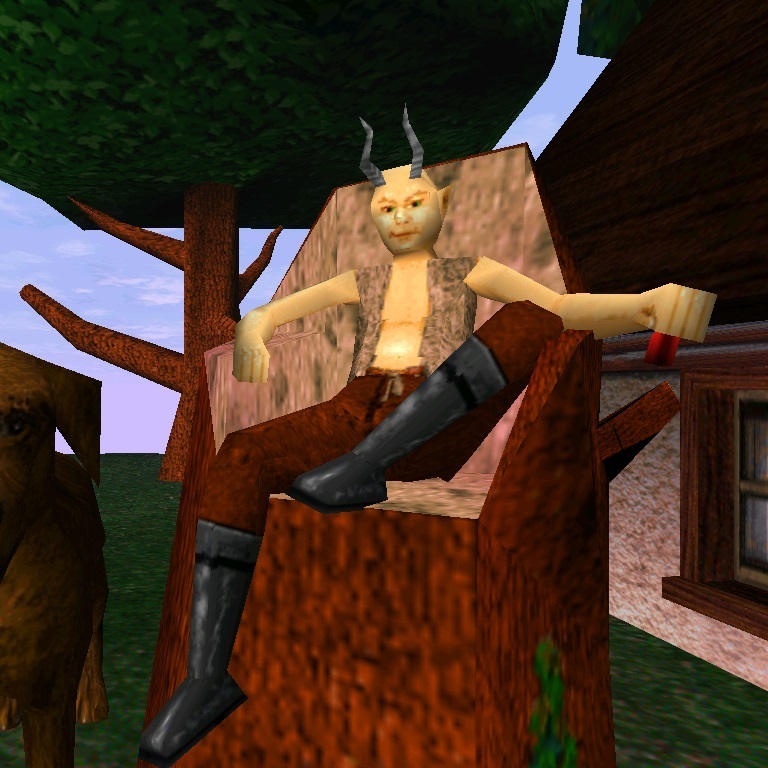 This entry was posted in Brown Outfits, Casual, Elder Scrolls Lore, Matching Pet, Wood Elf and tagged Coldharbour Ash Black, Craftmaster Gold, Delicate Daedra Horns, Pirate Sash & Bandolier, Undaunted Bronze, Windhelm Wolfhound.